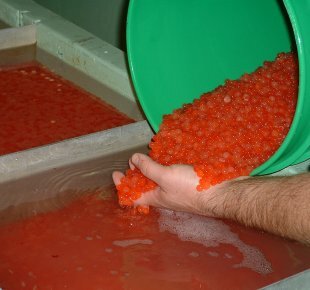 The Regional Mark Processing Center (RMPC) provides essential services to international, state, federal, and tribal fisheries organizations involved in marking anadromous salmonids throughout the Pacific region. These services include regional coordination of some tagging and fin marking programs, maintenance of databases for Coded Wire Tag Releases, Recoveries, and Locations, as well as the dissemination of reports of these data in electronic or printed form when requested. These databases are known collectively as the Regional Mark Information System (RMIS). Click on one of the options below to query the RMIS database. For more information, or assistance with a query, please feel free to contact us. Query the CWT database and run reports of Releases, Recoveries, Catch/Sample, or Location Codes. Query the CWT database and run Recovery reports based on Tag Code and/or Management Fishery. Interactive map of locations of facilities used for fisheries management within the greater Columbia River basin.